When you speak to prospective customers you’ve cold called, or other people who work in your industry, are you quietly dismayed to find out they’ve never heard of your business? What gives? You’ve been around for years, and have plenty of happy customers! Why isn’t your brand front-and-centre in these people’s minds? The answer probably lies in the fact that there simply isn’t enough brand awareness going on. There’s no silver bullet to fix this, and in truth, it takes a number of consistent approaches to make your brand more visible, but there’s really no better place to start than with email marketing. Yeah, yeah, “GDPR, GDPR, GDPR”; it’s all we hear now, isn’t it? But for good reason. In order to spread the news about your brand far and wide, you need to find the right audience. To do that, you need to get marketing consent from people who genuinely want to hear from you. This is easier than you might think. You simply need to set up a contact form within your email marketing platform, place it on your website and then work on your SEO and content marketing campaigns so that they draw in the right kind of people to your site. The sign-ups won’t happen overnight, but they’ll come. Whenever someone subscribes to your email marketing list, say “hello”. Thankfully, this can be done with automation and the ability to personalise your emails, but this particular “hello” should be viewed as the start of a wonderful, yet slowly-building relationship. Your welcome emails don’t need to be complex, gushing or of the sales variety. Just genuine, lighthearted and with the promise that there’s some great stuff to come. 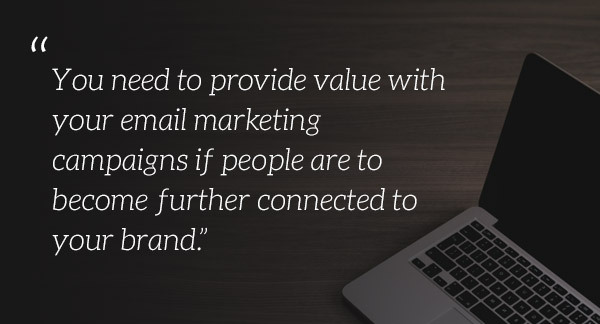 You need to provide value with your email marketing campaigns if people are to become further connected to your brand. It is key from brand awareness. Simply sending out a half-baked newsletter every month to everyone on your mailing list isn’t going to cut it. You need to lean on the data you’ve harvested about subscribers to send out far more relevant, personalised (there’s that word again) messages. Do the same with the advice you offer. If you’re blogging regularly and trying to establish yourself as an industry thought leader, make sure the content is insightful but also actionable. The more you encourage people to do things based on your knowledge, the more they’ll remember you were the reason behind their actions. You’d be surprised by how easy it is to present an entirely different brand within your email marketing campaigns compared to what can be found on your business’s website. This extends beyond the obvious (logos, colour schemes and imagery, for example) – the way you write your emails should also be the same as the copy on the website. You need to develop a strong persona for your brand across all marketing channels if people are to recognise it. Tweets should display the same personality as your email copy, too. This isn’t something that can be developed overnight, either. It’ll take time to build that brand persona. But, the more you keep that in mind with every campaign you undertake, the more recognisable your brand will become. Competition in your industry is undoubtedly tough. However, the more coherent your brand message, the more likely you are to stand out. 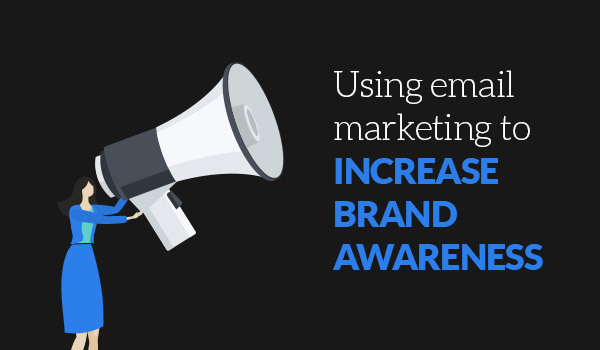 Our tips above will at least ensure your email marketing campaigns are playing their role in creating brand awareness! We get to read here some good tips on using email marketing to increase brand awareness effectively. Thank you Mark for sharing this information. Along with this, it will be a good idea to incorporate strong and effective CTA. This will eventually help in prompting the customer to take further action. Thank you onebasemedia for your comment. I am glad you found the tips useful. That is also an excellent tip that you have provided, I hope other readers get to look in the comments section. Thank you for your contribution.